Though WordPress is the most astonishing content management system we’ve ever had, it comes with some limitations too. Page builders are simple WordPress plugins that allow you to easily develop and edit webpages and make the content presentation outstanding. They come with a significant number of templates to use and, most importantly, their simple drag and drop feature has eliminated the necessity of any coding knowledge. Thus, armed with these page builders, anyone without any HTML or CSS knowledge can design attractive websites easily. 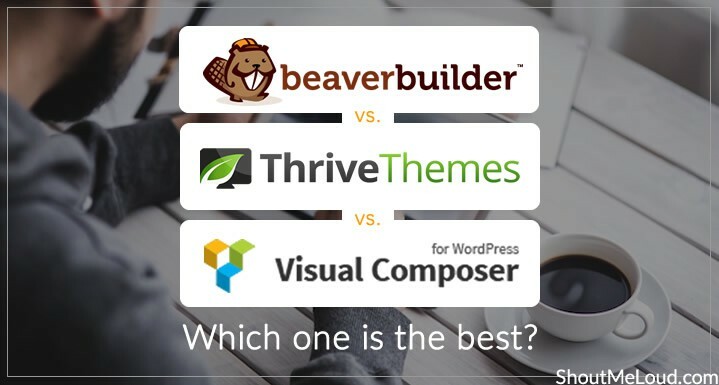 Here, we’re going to compare three well-acclaimed page builders: Beaver Builder Thrive Content Builder Visual Composer The main factors we’re going to look at are: Features Add-ons Working Procedure Price Pros and Cons So let’s take a closer look at each factor to decide which one fits your requirements the best. Beaver Builder WordPress Plugin Beaver Builder is an agile and advanced content builder with complete drag … [Read more...] about Which one is the best?